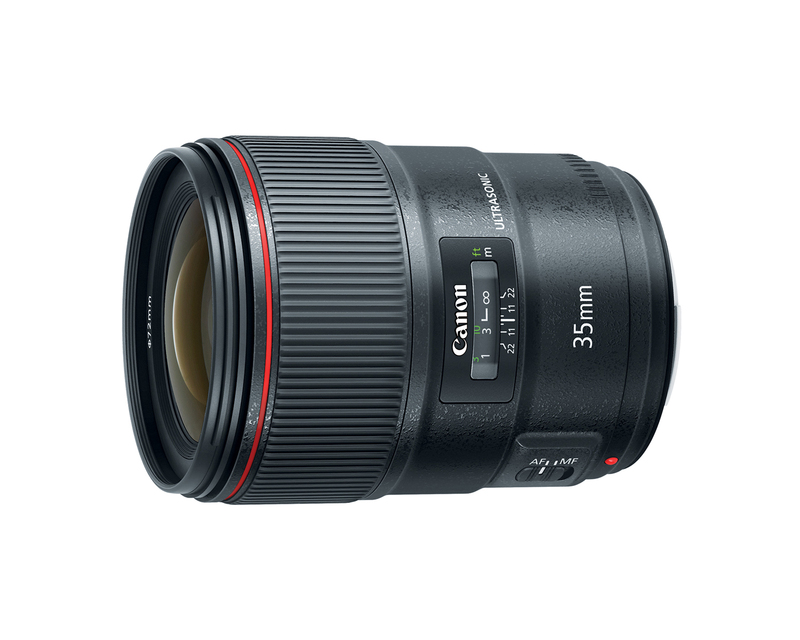 Canon has announced the EF 35mm F1.4L II USM, the second generation of its popular wide-angle prime. It uses newly-designed Blue Spectrum Refractive Optics, which claim to correct chromatic aberration better than any other existing technology. The 35mm F1.4L II includes a total of 14 elements, two of which are aspherical and the other being ’Super UD’. It offers 9 aperture blades for pleasing bokeh (and gorgeous 18-ray sunbursts, we hope) and a minimum focusing distance of 0.28m/11in. It also claims to be more durable than its predecessor, with dust and water-resistant construction. The Mark II is considerably heavier, though, weighing in at 180g/6.3oz, or 31% more than the original model. This is a much-awaited announcement for Canon users, especially since Sigma introduced their excellent 35mm f/1.4 Art lens, which bested the Canon in just about every way and managed to do it at half the price. It will be interesting to see how well this new lens compares to its predecessor, as well as the rest of its competitors, including the aforementioned Sigma. I’m also particularly interested in seeing how it compares with the Sony Zeiss FE 35mm f/1.4 Distagon, a lens that’s been on my radar for quite some time and that’s been called the best 35mm lens ever by none other than Steve Huff. The new version of the Canon 35mm f/1.4 L lens will be available in October for $1,799. You can check out Canon’s official press release here.